Chris Colasuonno, LCSW-R is a psychotherapist and addiction counselor who has a specialty in alcohol and drug treatment in Westchester and Putnam County. Chris is a Credentialed Alcohol and Substance Abuse Counselor (CASAC) certified by the New York State Office of Alcoholism and Substance Abuse Services. Chris has provided addiction treatment to many clients in Westchester and Putnam County offering substance abuse counseling and addiction treatment. As a counselor, who specializes in private addiction treatment and interventions, helping addicts and alcoholics along with the families with therapy and counseling is my primary goal. In being an addiction counselor, the first step is an assessment and selecting the right level of care with Chris has worked with many families and provided addiction intervention services with a caring and empathic approach to help the addict or alcohol. Through treatment and understanding of addiction, Chris Colasuonno, LCSW-R, CASAC offers confidential substance abuse psychotherapy, counseling and addiction intervention in Westchester and Putnam County. I provide the therapy, counseling and support services that individuals who are battling addiction and substance abuse issues need in Westchester County and Putnam County. 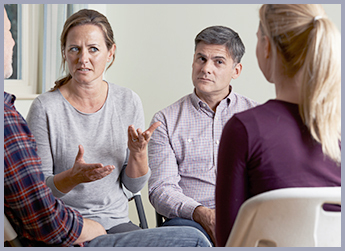 As a certified addiction treatment counselor who has helped individuals with almost all types of drug and alcohol treatment needs, it is important to understand the many dynamics of addiction from treating the individual to how it impacts the family. In working with couples and adults, I utilize cognitive behavior therapy techniques in helping lower anxiety and depression to deal with the substance abuse issues. This approach allows for good treatment. My psychotherapy and counseling clients have often commented that they feel safe and understood as they seek help in a non-judgmental psychotherapy setting in the Westchester and Putnam County area. Chris is an experienced addiction therapists who use cognitive behavior therapy and other psychotherapist counseling models to treat addicts and alcoholics in the Westchester and Putnam County area lower anxiety and depression. Are you trying to cut down on alcohol, tobacco, problem gambling, drugs, then call Chris for a free consultation. What is your situation? - Chris has probably treated it! - Family member addicted to Heroin? - Drinking Too Much - Need Intervention? - Is the alcoholic or addict in denial? - Is your marriage or family suffering because of drugs/alcohol? - Do you abuse marijuana? - Are you worried about whats going to have next? - Are you an adult child of alcoholics (ACOA) or any other drug? - Are you driving drunk or stoned? Got a DWI? - Are you stoned every day? - What types of treatment are there in Westchester and Putnam County? - Is your family member in withdrawal? - What is a functional alcohol or addict? - Worried about an overdose? Many addiction counselors in Westchester and Putnam counties are seeing increased addiction to prescription opiate painkillers and Heroin. Heroin addiction is rampant in the Westchester and Putnam County area. Chris has worked with the addicts and families to remove the stigma of shame and guilt while confronting their substance abuse addiction. Drugs are prevalent in the suburbs where grassroots organization were formed in response to the heroin deaths such as Drug Crisis in my Backyard. Many people get addicted to opiates accidently and don't know how to stop. Chris has assessed, treated, and been an interventionist to many addicts where we will work with the addict coordinating care with medical professionals to help aid in eliminating the withdrawals from drugs and alcohol. Being an experienced substance abuse counselor and addiction therapist, understanding the Heroin and Opiate drug problem is crucial for the addict to get treatment in Westchester and Putnam County. Alcohol Abuse - Drinking too Much? Alcohol is one of the most addicted substances causing many serious problems. Thousands of individuals are addicted to alcohol in the Westchester and Putnam County area. Often the alcoholic can't stop drinking despite consequences from work, family, and legal areas. Over time the individual starts to abuse alcohol with increased frequency and tolerance. Often the person hides their drinking and isolates. Then shame and guilt usually take hold where a negative cycle is reinforced. Through psychotherapy and addiction treatment, Chris has helped the problem drinker through cognitive behavior psychotherapy in Westchester and Putnam County. Has alcohol hurt your family? Do you want to stop? Are you scared of being an alcoholic? Does your drinking causes shame or guilt?